Buoyed on by the great feedback I have received regarding my Blog Post Award and Quotation Of The Week posts, I have decided to add a new Feature called ‘In The Spotlight’. I will use the spotlight posts to highlight any resource that I think will add value in for my blogs readers. 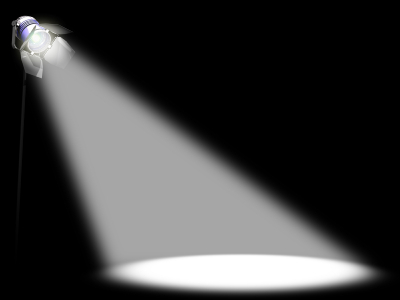 The subject of the Spotlight could be a blog, forum, tipster or any other resource, large or small, that I think deserves to be highlighted. I will be adding a 'In The Spotlight' Page that lists all of the 'In The Spotlight' Posts, also I will be adding a 'In The Spotlight' Icon in the left hand side bar that links directly to the 'In the spotlight Page. With this being the inaugural 'In The Spotlight' I wanted to find a real top notch resource to get the show on the road and I believe that I have found the perfect one. There are numerous reasons for my belief that being a subscriber to the Secret Betting Club(SBC) is a must for any serious sports speculator who has ideas about running a large, or small, betting portfolio. The membership includes novice punters, top bloggers and even quite a few of the top sports tipsters who are all willing to help out on the very active and friendly forum. 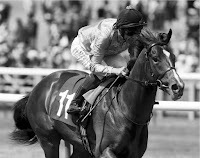 There are also profitable free tips given out by members and professional tipsters as well as numerous free reports. Every member receives a free monthly report and also has access to the archive of all the previous monthly reports. My regular readers will know that I have only recently joined the Secret betting Club and I have already started a thread on the forum posting up tips for what I believe over the long term will be a profitable method (even though at the moment it is showing a slight loss!!) based on a free report highlighting value in 16+ runner handicap races. In the interests of trust and transparency I would like to point out that I do get a small affiliate fee for anyone that joins the Secret Betting Club after clicking through my link, but I do believe that anyone who does join will be getting real value for their money. If you would like to Join the Secret Betting Club but do not wish for me to get a affiliate fee, all that you have to do is Google their name and join via the search results links. I hope you enjoyed my comment. In reply to Mr Anonymous. I have allowed this comment because it goes to show how you have not read the post in full. I do believe that the secret betting club offers value. I will never recommend a product or service on here just to make a few quid. If I believe a product or service offers real value for my blogs readers then I will accept affiliate fees for making my them aware of the product or service.